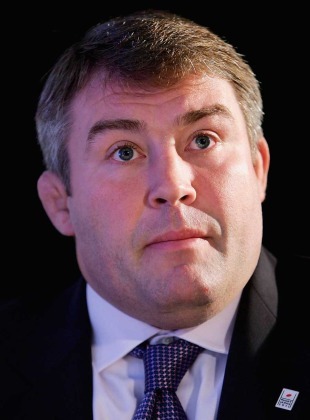 Leonard: Woodward is not a "shoo-in"
Former England international Jason Leonard insists that Sir Clive Woodward is not guaranteed the Rugby Football Union's vacant performance director role. Leonard, who is part of a five-man panel tasked with identifying the best candidate for the position along with fellow rugby luminaries Bill Beaumont, Richard Hill, John Spencer and Rob Andrew, has vowed to scour the world for the right person for the job. "If England wants to be truly world class we've got to look to get the best in the world," the 114-times capped forward told the Daily Mirror. "That means looking worldwide and at different skill sets in different sports, be it hockey, American football, rowing or tiddlywinks. It doesn't have to be someone from rugby. So why shoot ourselves in the foot and say we'll only look at rugby?" Woodward, currently performance director at the British Olympic Association, has long been linked with the role but pulled out of the race last month in the wake of chief executive John Steele's attempts to downgrade the role. That ultimately led to Steele's sacking last week and Woodward is reportedly now ready to rekindle his interest in a return to English rugby's governing body. "No-one's a shoo-in at this moment in time. I would like as many people as possible of world class status to throw their hat in the ring," insisted Leonard. "Clive's got to be one of them, he definitely fits the criteria, but he's not the only one. "You can't just dismiss Clive. He is a World Cup-winning coach, renowned for his vision and his expertise. Personally I'd love to see him as one of a number of people that throw their hat in the ring. But, I repeat, we're starting with a blank sheet of paper. "We're not going to make a knee-jerk decision. I don't feel there is a rush to get this done, I don't see this as a quick fix. The last few days have not been English rugby's finest hour but every company goes through difficulties. What defines you is how you bounce back from adversity. We will make it (the RFU) a better place to be."